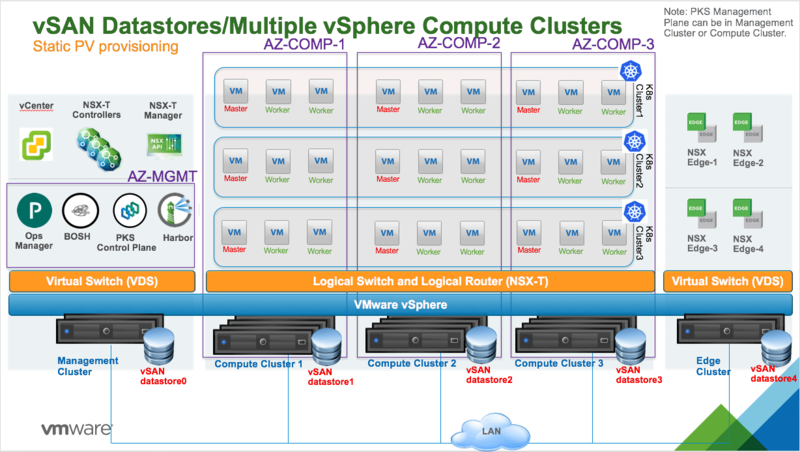 For procedural information about configuring PVs, see Configuring and Using PersistentVolumes. vSAN does not support sharing datastores across vSphere clusters. 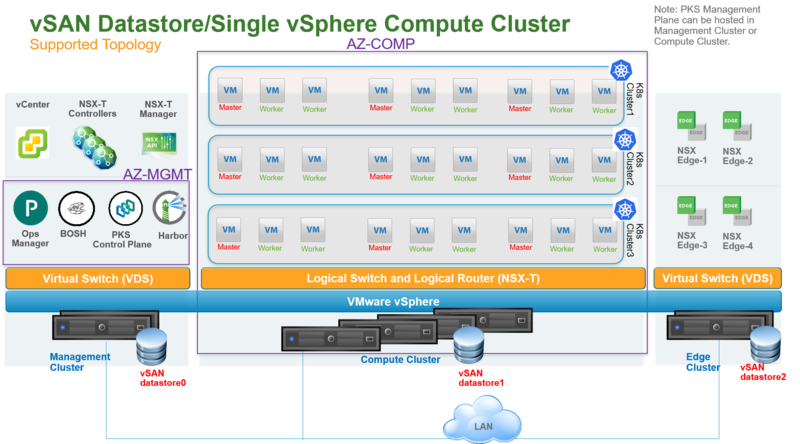 Can be accomplished by providing vSphere clusters with access to additional shared storage such as VMFS/NFS over iSCSI/FC. 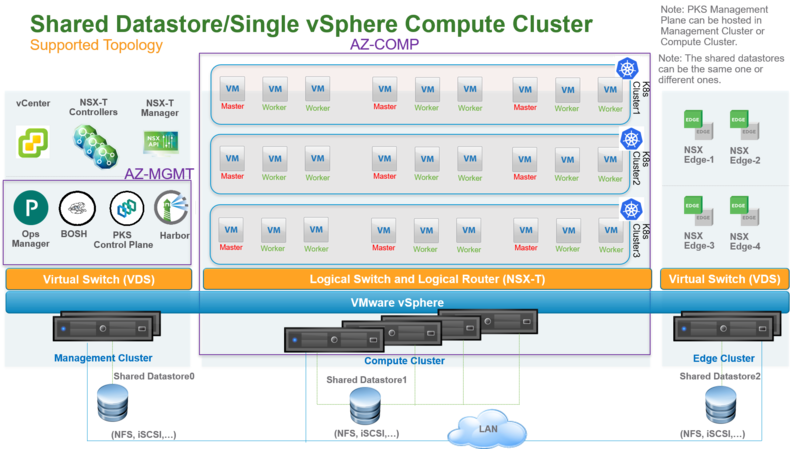 Both static and dynamic PV provisioning are supported. 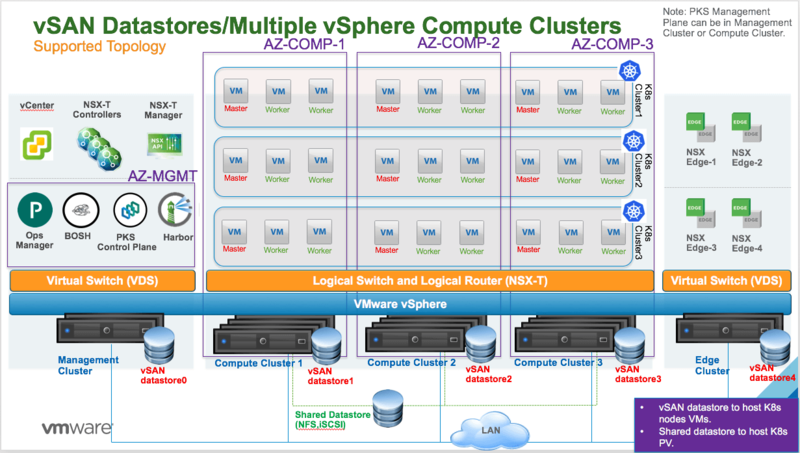 The following diagram illustrates a vSphere environment with multiple vSphere compute clusters with NFS or VMFS over iSCSI, or FC shared datastores.